We all know the Holidays can get messy. Sometimes, scratches or bruises are only minor infractions compared to what your crazy cousin did to the Christmas Tree and grandma did to the upstairs plumbing. 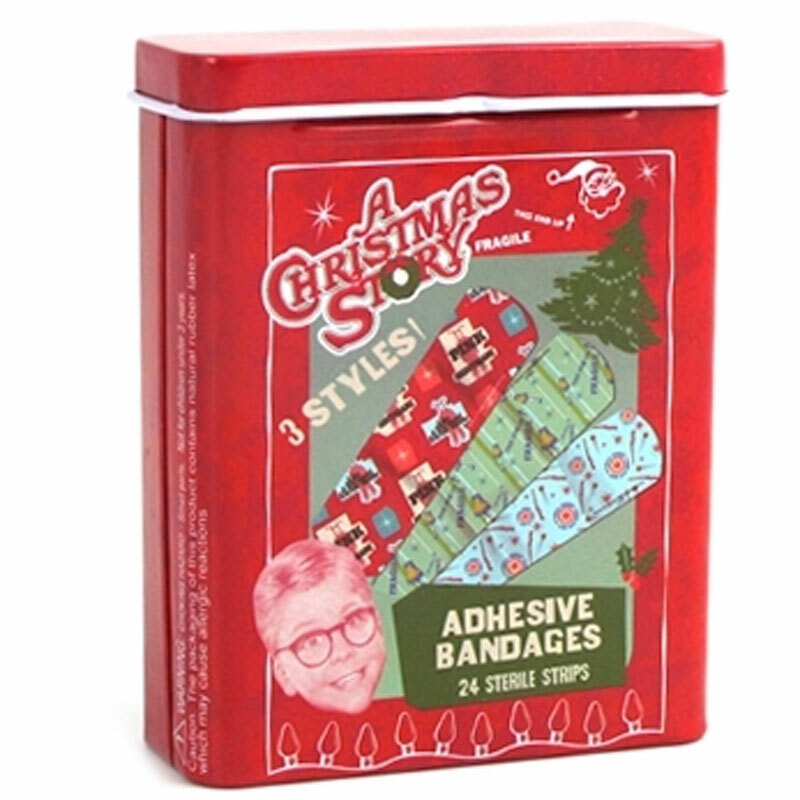 So in the case of a minor injury, here are the most awesome "A Christmas Story" Bandages you can find. 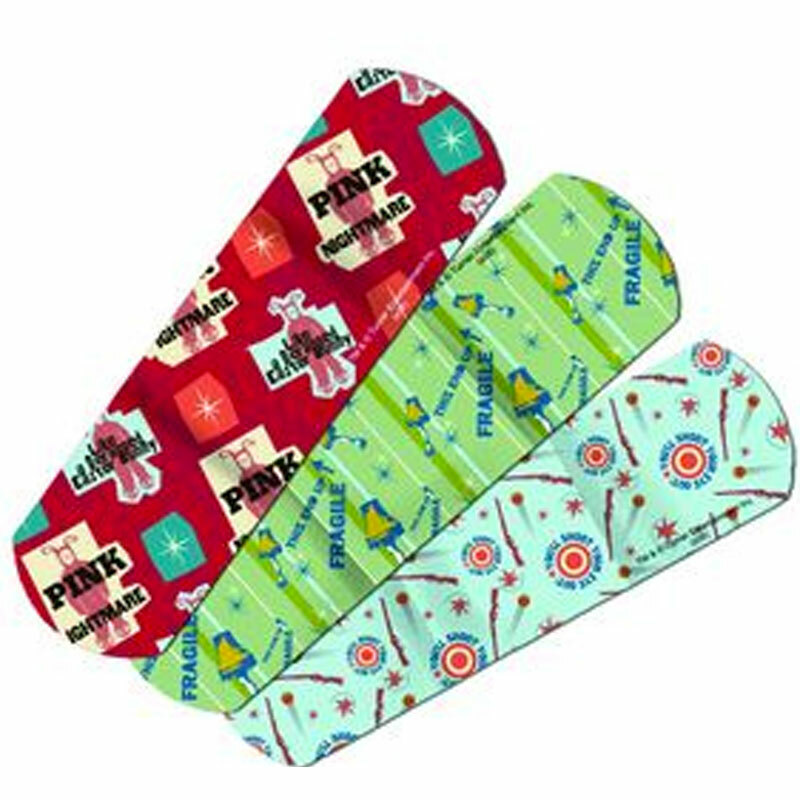 Straight from the classic Movie that takes awkward Christmas' to an epic level, you'll find 3 styles of comical Bandages. One of course, featuring the Leg Lamp, another featuring the BB Gun, and the last featuring the Pink Bunny Pajamas that made us all fear what's under the tree. Feature: - 24 Bandages in 3 styles. Sterile Bandages contain natural rubber latex. 3" x 1" Bandages. 2.75" x 3.5" x 1.25" Bandage Tin.